Back a few years ago I developed a series of civil light aircraft for Atlantean manufacture. For whatever reason, nothing was ever posted; so I got permission from Wes to post it here for general view. I don't think anything here should be controversial, so this is less of a review and more of an informational posting. That said, if anyone notes anything in need of correction, please comment. I envisioned that the Atlantean civil aircraft industry likely has quite a number of small manufacturing companies, many of them likely of the "five men and a workshop" type. Of that number, four manufacturers produce a significant number of aircraft per year - say, over ten aircraft per year. These firms are Loonis, Alcampa, Eyrturismo, and Upward. There is also one manufacturer, Solomon & Brothers, that provides the vast majority of the aero-engines used in civil aircraft. Solomon engines power an overwhelming percentage of the light civil aircraft produced in Atlantis. Solomon is also known for their race cars, many of which use variants of their light aircraft engines. The Solomon firm was recognized in 1944 as one of the leading Atlantean-owned small businesses. Upward is the most successful civil aircraft manufacturers in Atlantis, building primarily gliders and motor-gliders. Upward got their start building kites during the 1890 Kite Craze, and experimented with early aircraft, though they never flew a plane of their own design. During the Great War, Upward built wing spars and parts for Atlantean aircraft, achieving a measure of success. Following the war, they left the aircraft business for a time, becoming a piano manufacturer and wooden coachbuilder. With the demise of wood-framed cars, their coachbuilding business failed and turned to gliders. Upward still makes pianos as well as wood cabins for sail and motor boats, but their excellent gliders have provided much of the company's profit from 1935 onward. The Upward Arcus, one of the company's most prolific designs, is used for training by the Atlantean Air Force. A larger version is also produced as the Cirrus. Finally, a Cirrus variant, equipped with an engine, is produced under the designation 'Scud'. The Scud is designed to be a slow, stable aircraft for introductory flight training and civilian aviation. Intended to be more efficient than other available light aircraft, it is heavily based on the Upward Cirrus glider. The Scud uses strengthened glider wings, but has a regular engine layout and a capacity of two persons sitting side by side. Eyrturismo is the second-largest of civil aircraft manufacturer in Atlantis, trailing Upward by a slight margin. Eyrturismo's success has been built on the Eyrturismo Ten biplane, popularly nicknamed the "Skybuster". Despite it's first flight in 1931, it's still one of the most popular and recognizable aircraft in Atlantis, with over five hundred planes sold, and it remains in production. Eyrturismo additionally license-builds the French Caudron Simoun as the Eyrturismo Simoun. Eyrturismo has recently unveiled the unusual four-seater Club biplane to answer the challenge posed by the Alcampa Moresca. Based on the Millet Lagarde ML-10. Loonis manufactures a small number of high-performance sport planes suitable for aerobatics. 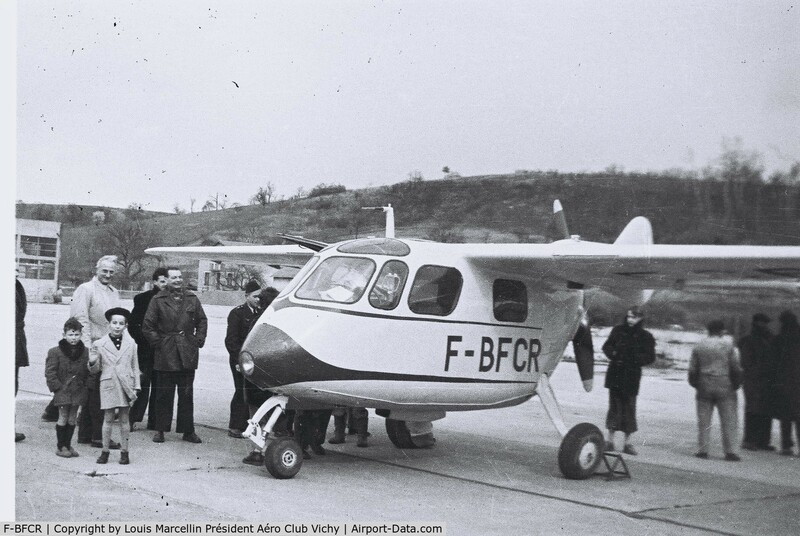 Their first plane, the Loonis Veuze, has proven quite popular. The new Loonis Biniou, which came out in 1942, has also achieved notoriety and exceptional sales, as it resembles a 3/4ths scale replica of the Spartan SP.20 Corsair fighter. The Biniou has already won several civil aircraft racing records. Founded in 1939 outside Cleito, Alcampa Aviation has quickly assumed a place as one of Atlantis's leading civil light aircraft manufacturers. The company had its roots in a group of mechanics who worked at the Cleito Royal Flying Club mechanical shops, who designed and built a predecessor to the Arcon. Attaining financing, they improved their design, acquired their own facility, and built the Arcon. In 1942, they introduced the unconventional four-seat Moresca pusher to cater to the air tourist crowd..
Based on SNCASO SO.7060 Deauville. That last one is a cute little thing. The Moresca? It certainly is - and very definitely unique. You could paint a smiling face on the nose of the Moresca and build a children's toy/entertainment line off of it. Like "Cars" or "Thomas the Tank Engine", seventy years early. Nice designs and pretty nice looking (well, except for the Eyrturismo Club). Nice to see some light aircraft types fleshed out.